The 144th Kentucky Derby is this weekend, and we're featuring some vibrant dishes crafted by the Executive Chef of Churchill Downs, Chef David Danielson! 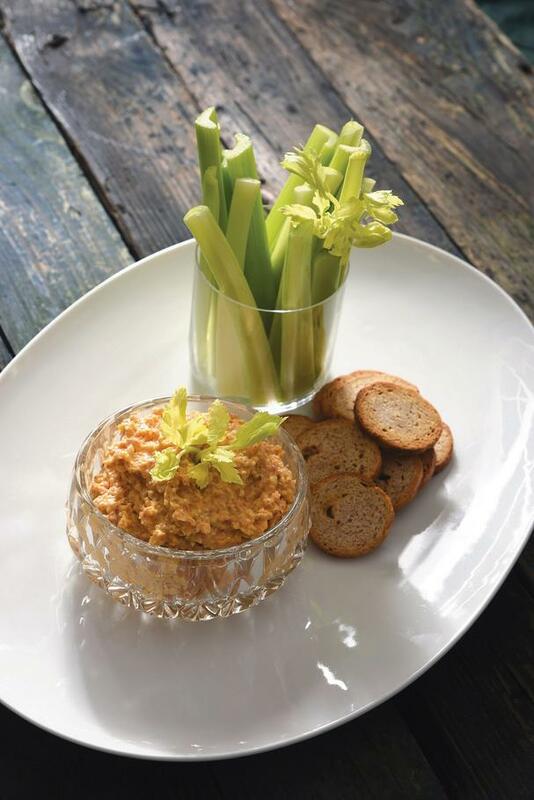 Bring a taste of the Derby into your home with some quintessentially Southern dishes like Bacon and Pecan Pimento Cheese. Chef Danielson blends this classic Southern comfort food with smoky bacon and sweet and crunchy pecans. It's the perfect appetizer for a Derby party! 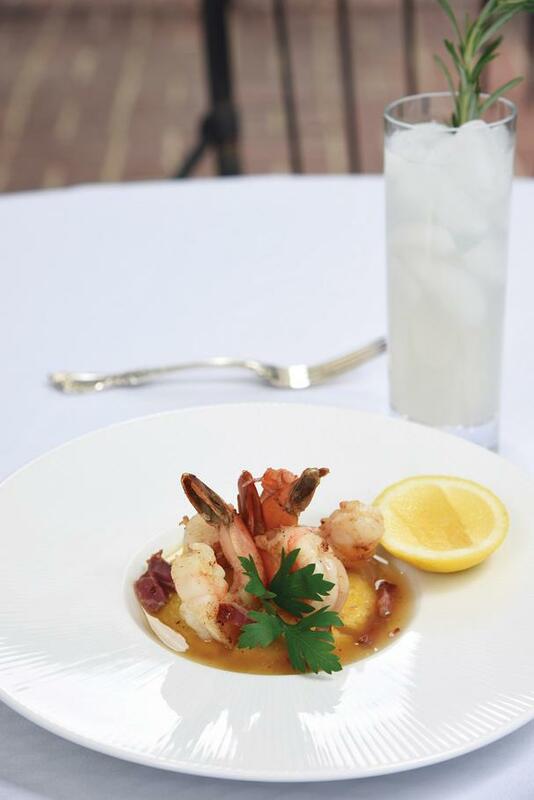 His Derby Shrimp and Grits feature a spicy Creole ham known as tasso that's made into a luscious gravy with a kick. 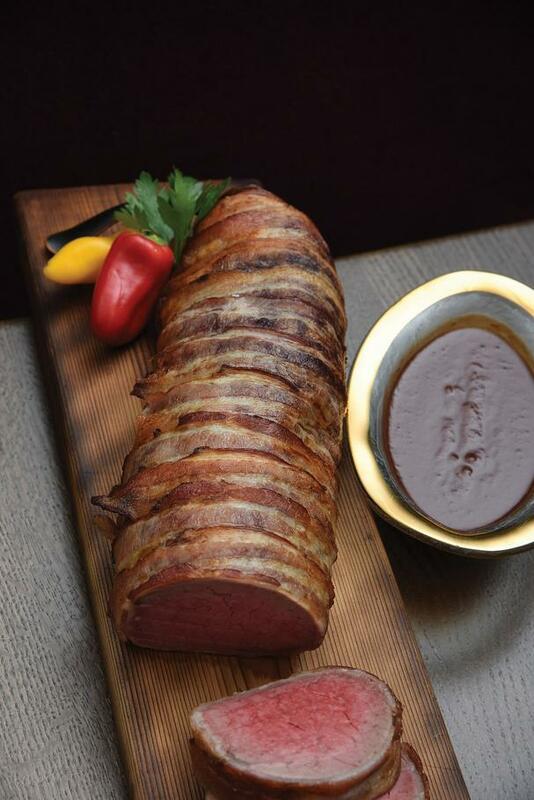 Serve it along with his Bacon Wrapped Beef Tenderloin Henry Bain Sauce, Louisville’s own zesty sauce. 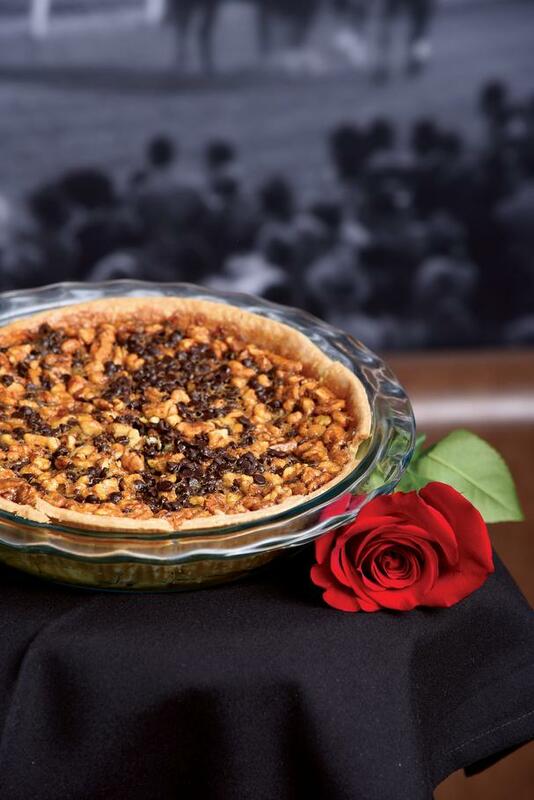 Be sure to save room for his Bourbon Chocolate Pecan Pie, a decadent and iconic Southern dessert that combines pecans, deep chocolate, and piquant bourbon! All four recipes are below. Get more delicious recipes like these as well as entertaining tips from his new book The Bourbon Country Cookbook: New Southern Entertaining: 95 Recipes and More from a Modern Kentucky Kitchen. In a large bowl, combine the yellow cheddar, white cheddar, mayonnaise, pimentos, pecans, bacon, mustard, cayenne pepper, and celery seed. For a smoother mixture, use a stand mixer with a paddle attachment and beat on medium speed for 2 to 3 minutes. When the mixture is completely combined, taste and add salt and pepper as needed. Transfer to an airtight container and store in the refrigerator for up to 1 week. Note: To toast pecans at home, preheat the oven to 325°F. Place the pecans on a baking sheet and bake for 5 to 7 minutes, until the nuts begin to brown and become fragrant. To make the shrimp, in a large skillet over medium heat, heat the oil until it shimmers. Add the shrimp and cook for 4 to 5 minutes, just until they are pink. Transfer the shrimp to a plate. Season with salt and black pepper and set aside. To make the grits, in a medium saucepan over medium-high heat, combine the water, milk, and salt, and bring the mixture to a boil. Slowly add the grits, stirring to combine. Reduce the heat to low and continue to cook, stirring frequently to prevent the grits from sticking, for 20 minutes. Remove the pan from the heat and add the cheese, stirring until smooth. Season with the white pepper and more salt as needed. To make the gravy, in a medium skillet over medium heat, melt the butter. Stir in the Tasso ham and sauté until the ham is just browned. Whisk in the flour and cook, whisking constantly, until the mixture is lightly browned. Whisk in the coffee, broth, and Tabasco and let simmer. Keep whisking until the sauce thickens and becomes smooth, about 15 minutes. Taste and add salt and black pepper as needed. To serve, place the grits on a large platter. Place the shrimp on top of the grits and ladle on the Tasso gravy. Garnish with the chopped parsley and serve immediately. "Henry Bain was one of the first employees of Louisville’s exclusive Pendennis Club, which was founded in 1881. According to the legend, his first job was to run the elevator, but he ended up as the headwaiter and established himself forever in Kentucky history with his signature namesake sauce. He created it to accompany steaks and wild game. The club eventually bottled and sold the sauce, and today it’s made, bottled, and distributed by Louisville’s Bourbon Barrel Foods. This is the official recipe created by Bain, and it is delicious alongside everything from roast turkey to grilled hamburgers. You can also pour it over cream cheese and serve it with crackers as an appetizer. This recipe makes a large amount, so put it in jars and give it as gifts to friends and family. It’s a wonderful little taste of Kentucky. Serve this recipe when you really want to impress." In a small bowl, combine the rosemary, thyme, garlic, salt, and pepper. Sprinkle the herb mixture evenly over the tenderloin and rub it in with your fingers. On a clean work surface, place the bacon slices lengthwise side by side, overlapping them slightly. Use enough slices so the width of the bacon layer is about 2 inches shorter than the length of the tenderloin. Place the tenderloin perpendicular to the bacon in the center of the slices. Fold the ends of the bacon over the tenderloin, then roll the tenderloin toward you so the ends of the bacon are on the bottom of the tenderloin. Stretch the bacon slices if necessary to fit around the tenderloin. Heat a baking pan in the oven for 5 minutes. Remove the pan from the oven and carefully place the meat, bacon-ends down, in the hot pan. Roast, uncovered, for 50 to 60 minutes, until an instant-read thermometer inserted into the thickest part of the tenderloin registers 135°F for medium rare. Remove the meat from the oven, cover it with aluminum foil, and let it rest for 15 minutes. The temperature of the meat should rise to 145°F while it rests. Cut the meat into ½-inch-thick slices and transfer to a serving platter. Serve with the Henry Bain Sauce on the side. To make the pie crust, in a large bowl, combine the flour, sugar, and salt. Add the butter and, using a fork, cut it into the flour mixture until the butter is about the size of large peas. Slowly add 3 tablespoons of the water, mixing with a fork just until the dough holds together. Add more water only if needed. Using your hands, flatten the dough into a disk. Wrap the dough in plastic wrap and refrigerate for 1 hour, or until chilled. On a floured work surface, roll the dough into a ⅛-inch-thick round. Transfer the dough to a 9-inch pie plate. Trim the edges of the dough, allowing ½ inch to hang over the rim of the plate. Fold the extra dough onto the rim of the plate and crimp the edge with a fork. To make the filling, in a large bowl, whisk together the eggs, brown sugar, light and dark corn syrups, bourbon, butter, and salt. Stir in 1 cup of the pecans and ½ cup of the chocolate chips. Pour the filling into the crust and sprinkle with the remaining ½ cup of pecans and the remaining ¼ cup of chocolate chips. Bake for 50 to 60 minutes, until the crust is golden brown and the filling is set. Cool the pie on a wire rack to room temperature before serving. 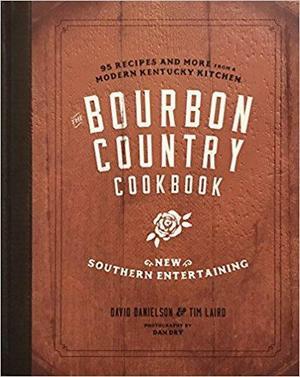 Recipes reprinted with permission from The Bourbon Country Cookbook by David Danielson and Tim Laird, Agate Surrey, 2018.